The flag of the Scottish island of Barra, in the Outer Hebrides archipelago, traditionally part of Inverness-shire, was registered on November 23rd 2017. 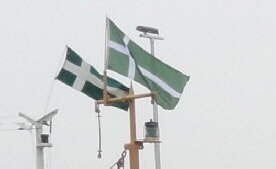 The island had been flying its green flag, bearing a white Nordic style cross, for over a decade. Details regarding the provenance and significance of this design are sketchy but the island was part of the mediaeval Norse ‘Kingdom of the Isles‘ and the name of the isle itself is of part Norse origin; as with the prospective flag of South Uist, this historico-cultural linkage is reflected in the Scandinavian form of the flag. In late 2016, a concerted effort began to see this design officially registered with Scotland’s heraldic authority, the Lord Lyon ,with a meeting to discuss a formal petition to him, for registration. 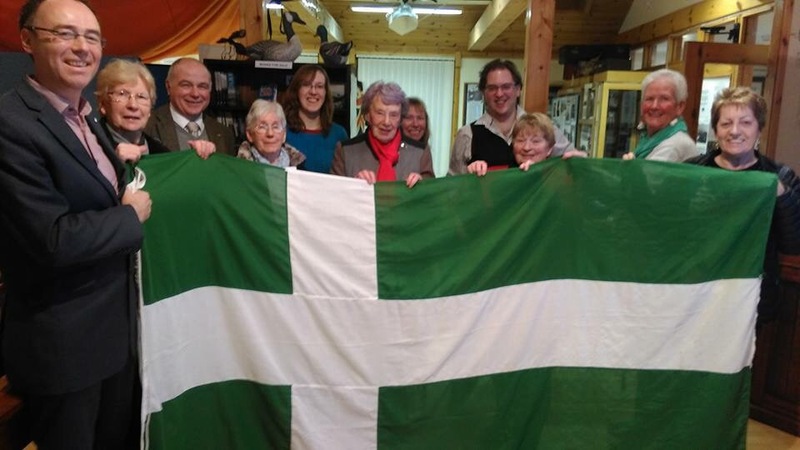 , fourth from the right, with members of the island community and the Barra flag. Local MSP Alasdair Allan, who initiated the drive for its official recognition is seen at left. 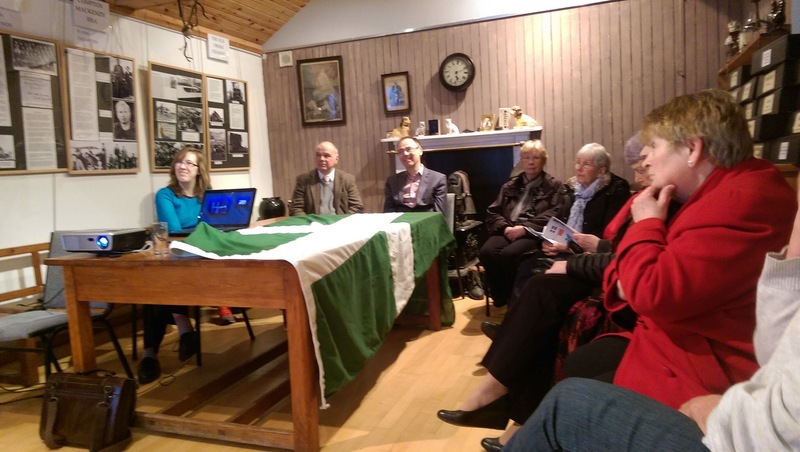 The campaign was championed by Dolina Manford, Chair of Northbay Community Council, with the support of the island’s other community council. Funding was kindly provided by local community charity Barra and Vatersay Voluntary Action. Donald and Dolina Manford arranged for a petition to the Lord Lyon for registration of the design, to be signed off by the community councils on the island. The flag in the picture above shows a cross realised with thick dimensions, which gives the flag some substance but there had been no fixed form of the design, with thinner crosses also appearing. and this is the form of the registered design. An official ‘unveiling’ expected to be held in summer 2018, never materialised . on a vessel far from home! In addition to this distinct island flag, a flag to represent the entire Outer Hebrides archipelago also exists.